LinkedIn engagement can be tricky. A recent study done by LinkedIn discovered half of those who follow and engage with organizations on LinkedIn are more likely to purchase the product or service offered. This goes to show you that an active LinkedIn page will help to grow your business, but it will require a little work to improve your engagement. Spend some time looking through groups where your followers are communicating it is necessary to find out what interests them. Analyze and read over the things that are catching your target market. LinkedIn is great because they have made it possible to quickly search for specific topics in specific groups. Additionally, LinkedIn provides “group statistics” data which gives you the ability to find the most engaging topics on a month-to-month basis. This is found under the More tab in the group, select Group Statistics, and then click on the Activity link provided to see the trends within that group. For LinkedIn, status updates are the most effective in the morning. While the morning seems to be the best time, posting throughout the day is helpful since it will catch those who log in later in the day. It can be extremely beneficial to begin a log that keeps track of days and times of posts, the topic of the post, the amount of engagement occurring, and impression counts. This will give you a better idea of what works best for you and your audience. Pictures, Files, Questions, Links, etc. Test out the use of pictures, files, and links. There’s a reason the saying goes, “A picture is worth a thousand words.” Images help your status update stand out among the crowd and sometimes it says more than a text-filled update ever could. There are some other great ideas for ways to use pictures, questions, and contests on LinkedIn in order to generate engagement. 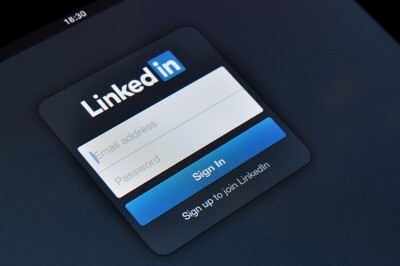 Promote your LinkedIn Company Page on your website, email signature, and even other social media channels. This will direct people to your LinkedIn profile and provide the opportunity to establish a relationship with more followers and generate even more credibility for your company. By following these steps consistently, you should see an increase in engagement with your audience. Susan J. Campbell is always here to help generate even more engagement for you and your company through LinkedIn and other social media channels. This entry was posted in LinkedIn Marketing and tagged content, customer engagement using LinkedIn, engage customers, how to promote your LinkedIn company page, LinkedIn, LinkedIn groups, LinkedIn marketing, LinkedIn status updates, social media, social media channels, social media strategy, social media tools, Susan J. Campbell Copywriting Solutions. Bookmark the permalink.